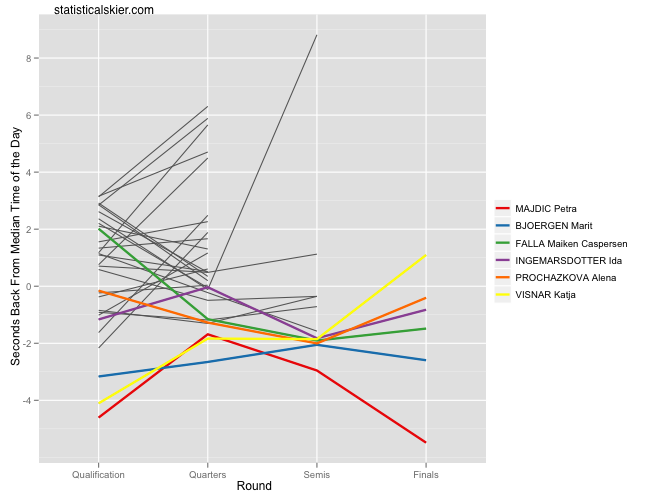 I actually made up a time for Visnar’s final round heat, since the live timing data had dropped it entirely. I actually don’t know how far back she was in the final, but I wanted to have a line for her and that was the quickest way to make it happen. I do feel a little dirty. 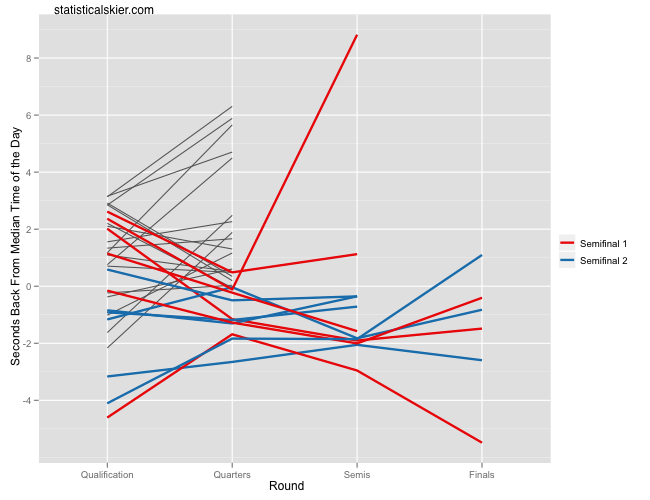 Interestingly, it appeared that a lot of folks skied slower in the quarterfinals than in qualification, which isn’t normally the case for the women. However, the overall trend fit the pattern with the top women skiing generally faster as the day went on. Posted by Joran on Thursday, March 17, 2011, at 6:00 am. Filed under Uncategorized. Tagged classic, recap, Sprint, women, World Cup, world cup final. Follow any responses to this post with its comments RSS feed. You can post a comment or trackback from your blog.